CDN, in partnership with SCILT (Scotland’s National Centre for Languages) held a very successful conference on Friday 16 November at Edinburgh College to highlight the role that Modern Languages can play in developing the employability and career aspirations of students in schools, colleges and universities. The conference launched the Business and Language Toolkit and associated employer resourses. 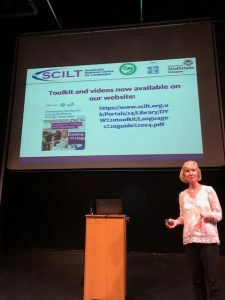 The toolkit will enable careers advisers and Developing the Young Workforce (DYW) representatives in schools, colleges, and universities to organise locally based events that highlight the relevance of language skills in each and every profession to learners of all ages. A number of schools and modern languages departments have already successfully used the Business and Language Toolkit and associated employer resources to organise highly successful business and language events for pupils nearing the end of their broad general education phase. Subsequently, an increased number of students opted to continue with their language study the following year. The Business and Language Toolkit and associated resources, including employer videos, will enable staff in schools, colleges and universities to create events where business representatives can demonstrate first-hand to young learners why it will be important to keep going with languages, regardless of their intended career aspiration. The Business and Language Toolkit and associated resources have been produced in response to demand from staff in schools and colleges. They form part of CDN and SCILT’s commitment to deliver the most relevant services to their clients. 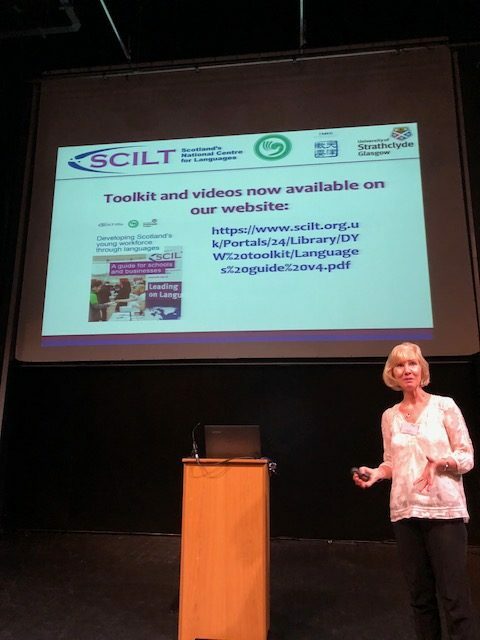 The Business and Language Toolkit and associated resources, including videos from employers and young people who have done voluntary work abroad, are available for immediately download at http://bit.ly/SCILT-Business-Toolkit-and-Videos.